Claes Oldenburg and Coosje van Bruggen have designed many oversize objects around the world including lipstick, bowling pins, and brooms. 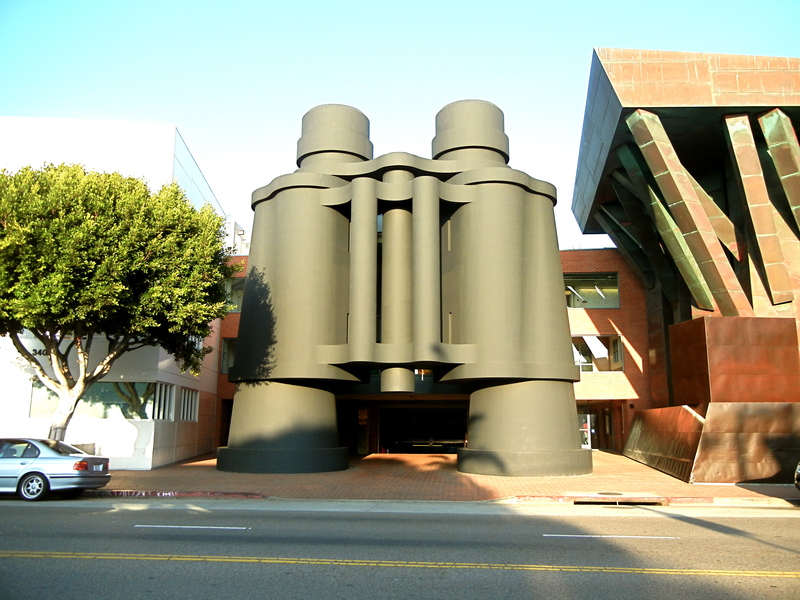 These 45 x 44 x 18 ft. binoculars stand out among their designs because they are not only abnormally large, but they also serve as a porte-cochere to a 1991 Frank Gehry design that once housed the advertising giant, Chiat/Day. In a similar vein, though 60 years before my grandfather, a 30-year-old New Jersey asthmatic visited southern California to discover he felt no asthma symptoms in our agreeable climate. His name was Abbott Kinney and once he arrived in southern California, he wasn’t going to leave. Instead, he brought the world to him. The “Venice of America” project was completed in 1905. 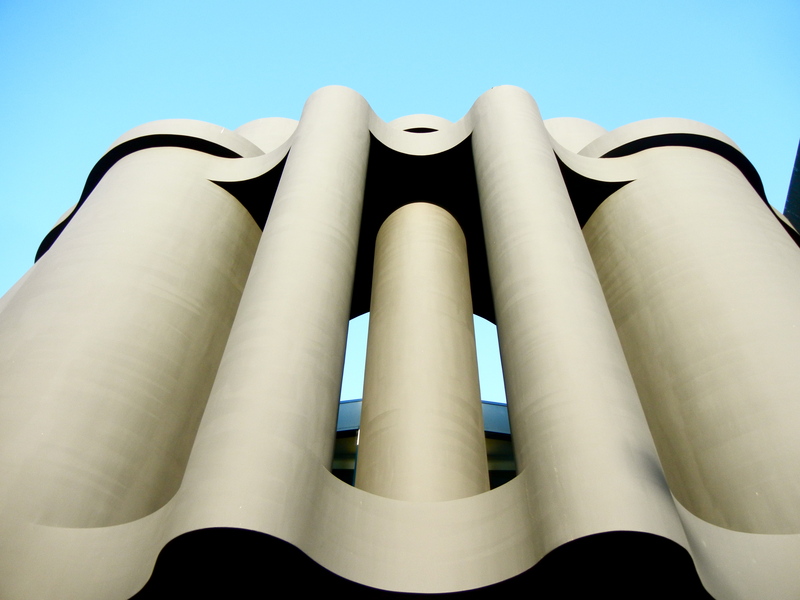 It was intended to be a cultural mecca. For business purposes, piers were built featuring roller coasters and arcades- the “Coney Island of the Pacific.” The last of the Venice amusement park piers was demolished in 1974 after it had fallen into disrepair. The piers were not the only of Kinney’s legacies to fall into disrepair. 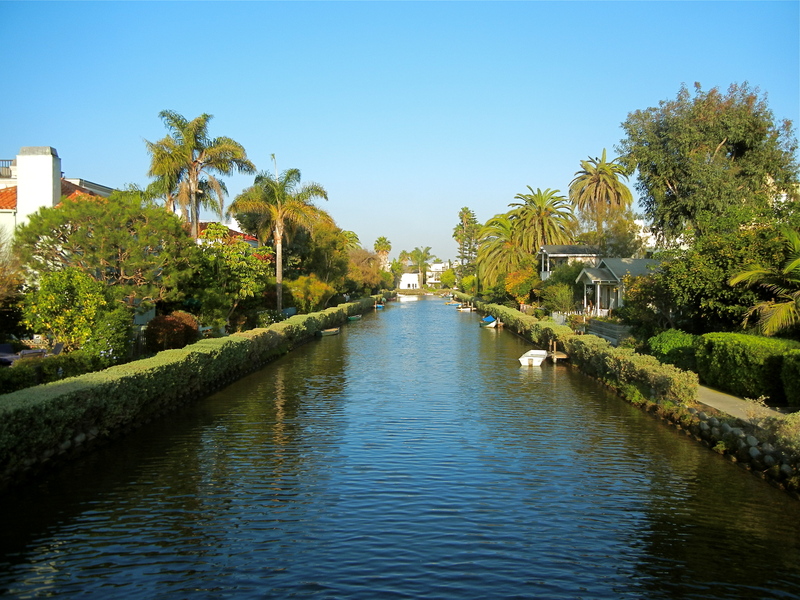 The canals were declared a health hazard in 1925 when Venice was incorporated into the city of Los Angeles and many of them were paved over by 1929. 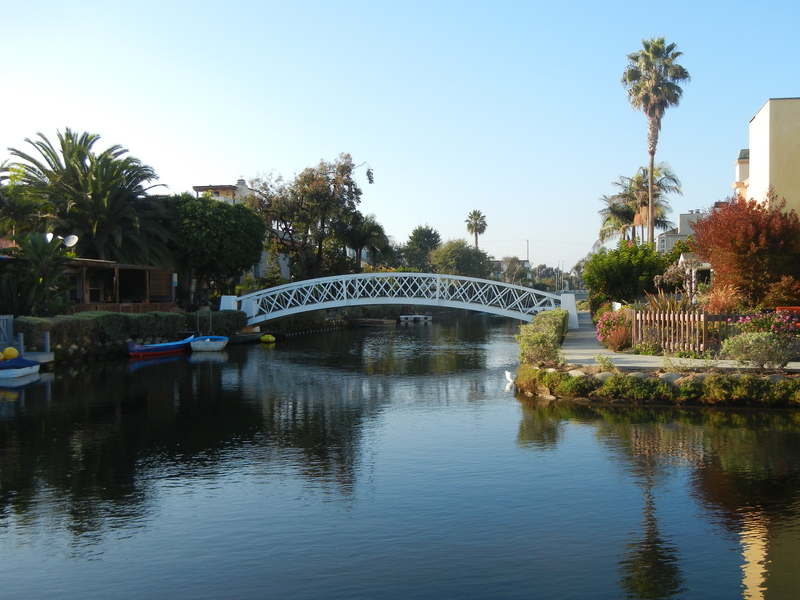 While I have romantic visions of Jim Morrison writing poetry amid some sort of Venice hippie revolution, most people talk about the canals getting “seedy.” That is, until 1992 when they began a $6 million renovation project. Even in 1996, Venice homes fell at $217,000 on the Home Value Index. 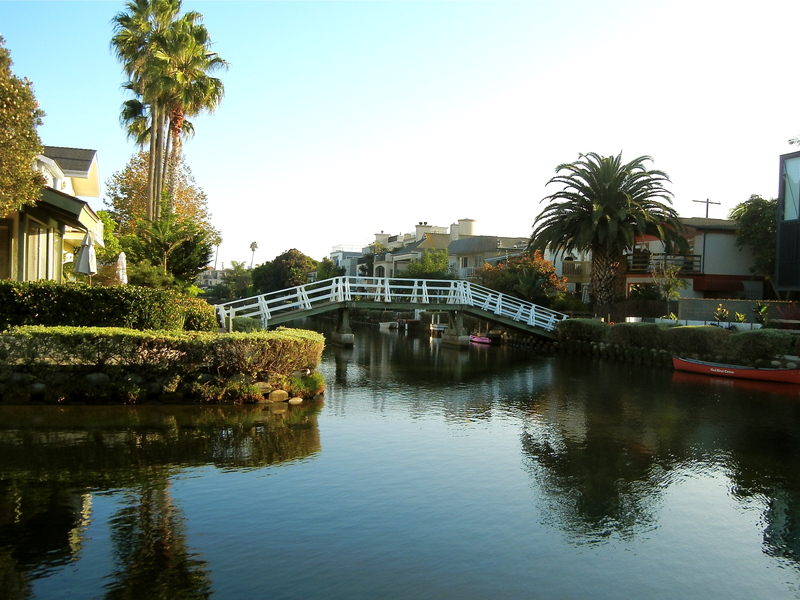 By 2005, Venice’s Home Value Index had reached over $1,000,000. 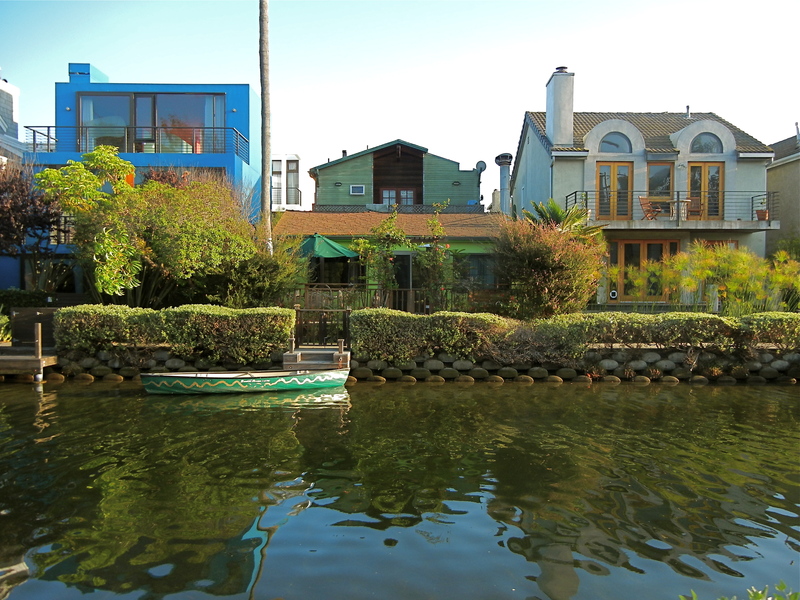 This is to say, in less than 10 years the value of Venice property quintupled! 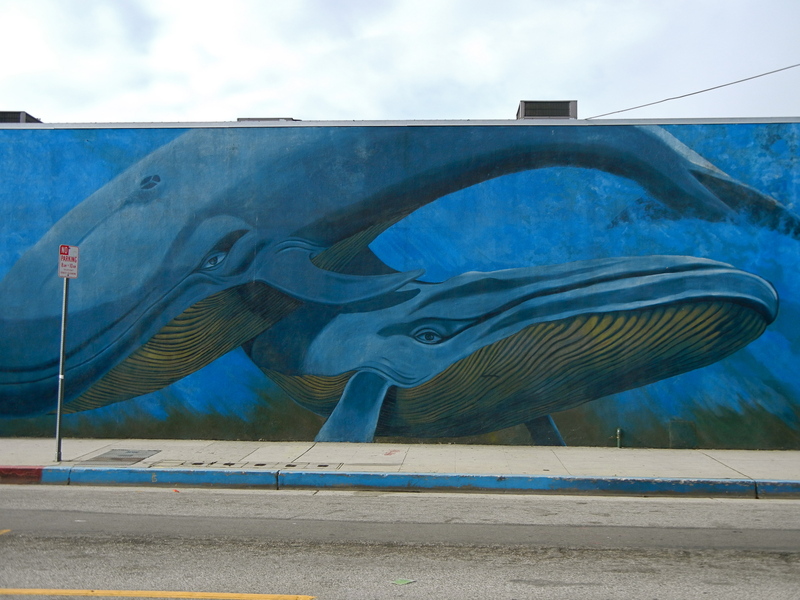 Margaret Garcia, “Two Blue Whales.” 12901 Venice Blvd. at Beethoven. 1978.